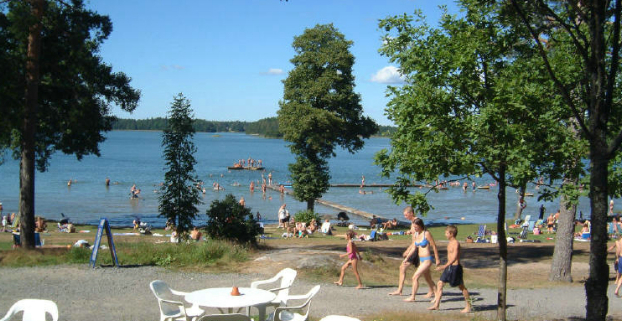 Källbuktens Camping lies in the beautiful archipelago of St Anna, between Kolmården Zoo and Astrid Lindgren_s World. The tranquillity of Källbukten allows you to relax, fish, swim and sunbathe, or play on our large grassy areas. The campsite also offers a café that serves food.